Recently I was asked to do some refinishing work on a set of tables we built for a company called I.M.A. back in 2012 or so. Here are a few shots of the pieces now. Everything has held up beautifully & they all still look just great. 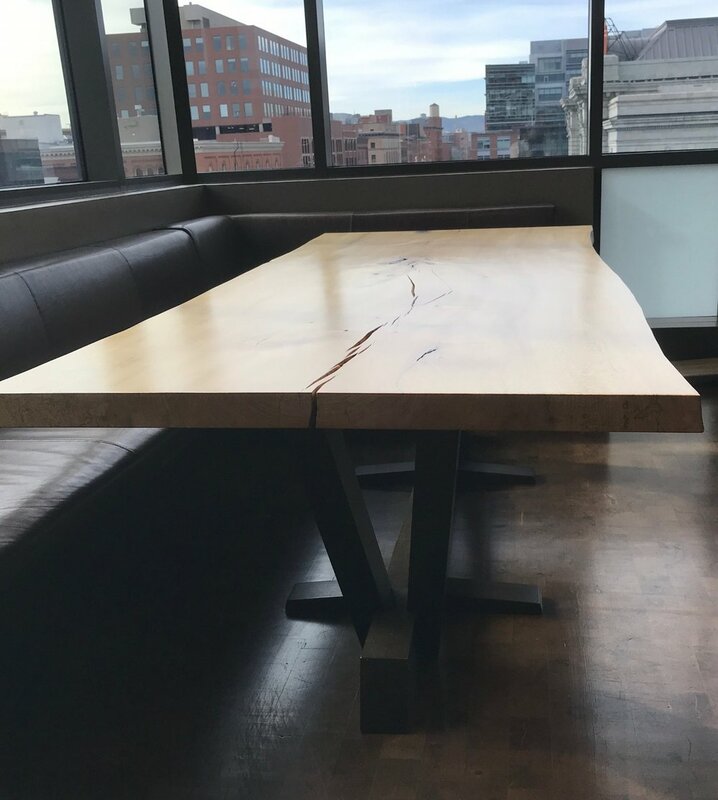 All of them being solid slab pieces, this can only be achieved through the use of lumber that is properly dried here in Colorado.